Cover made from Fair Trade hand-woven 100% cotton Guatemalan fabric/cloth with large bands of Purple and smaller bands of MULTI-color. This fair trade Guatemalan fabric is woven by weaving cooperatives in different villages on a foot or treadle loom. 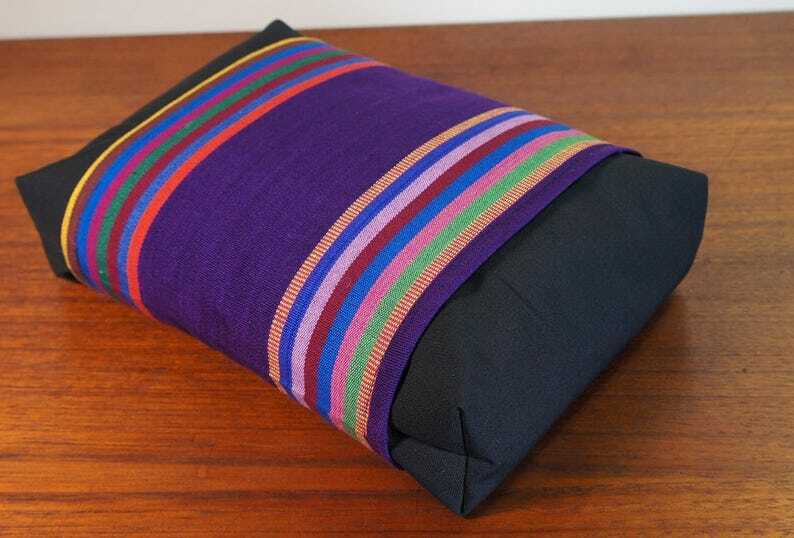 Pillow made from Black Cotton/poly Blend. To wash: Remove Buckwheat Hulls; wash Pillow Cover and Cover by hand in COLD water, Hang/Air dry, very LOW iron if needed. **All Cushions, Bolsters and eye pillows sold separately. It's just what I was looking for. My daughter says it helps her sore neck.